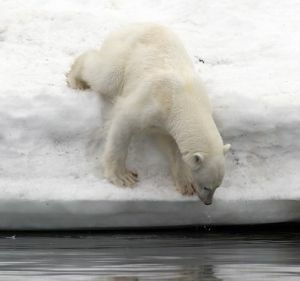 Polar bear in Svalbard (Photo: Peter Prokosch - Grida.no)The Arctic region has many faces. Historically it has been veiled by an aura of mystique, a frozen wonderland untouched both by the outside and the effects of industrialization, populated by a mysterious group of people from a different phase in the history of man. As interesting and romantic this notion may seem, it holds little or no truth in the Arctic today. The Arctic is literally on top of the world, the earth rotating around the two poles, in the North and the South. But the Arctic is not just about the North Pole - the Arctic region stretches much further in all directions, even spliting the earth into the East and the West, famous identities in the world history. Once a joke about vast wilderness where nobody ever went, the Arctic is becoming increasingly popular in many ways making the life of the 4 million people living in the region both scary and exiting at the same time. Climate change is the one major denominator for the change in the region today. Because of its clear visibility in the Arctic, peoples eyes have moved north in recent years. While the melting sea ice has led to problems for local people to practice their traditional livelyhoods, it has also created unprecedented opportunities, including shipping in the Arctic. By sailing through the Arctic Ocean, the shipping route from Europe to Asia is significantly shorter and therefore very attractive for shipping companies. In addition, enormous amounts of resources lie in the area, including oil and gas reserves that are extremely valuable. Resource exploitation has already begun, but the challenges are many when the area is so big and so far from any infrastructure. The Arctic is thus both an industrial region, as well as a region in close connection to its history and culture. A mixture of traditional subsistence activities as well as a part of the global market economy. The new and the old submerge to strenghten each other with new technology and knowledge, contributing to a cultural rejuvenation occuring in the Arctic. With more research and more interest from policy makers in the Arctic, they eyes of the media has also cantered further to the north. 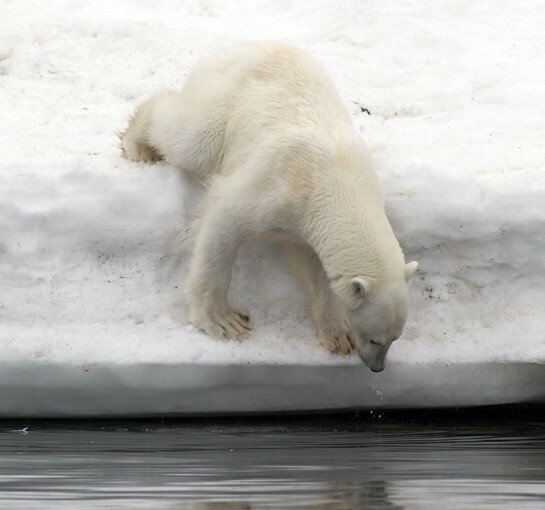 With more media attention the general public learns more and more about the Arctic. But what exactly is in the Arctic? Who lives there? What animals live there? What is it all about? The Arctic Portlet seeks to answer all the general questions about this exciting area giving the readers an insightful peek into one of the world's last true wildernesses.